The decision to allow your beloved companion to undergo surgery is never an easy one. Despite the confidence we have in our abilities and state-of-the-art pet surgical suite, we know that surgery is difficult for both you and your pet. This is why we work as hard as we do to ensure your pet’s procedure is as comfortable and stress free as possible. Mandarin Animal Hospital is very proud of the quality of animal surgical care we provide and the wide range of surgical procedures we offer. Beyond spays and neuters we also perform extensive soft tissue surgeries including but not limited to tumor removal, foreign body removals, splenectomies, and more. Our network of specialists also includes a board certified surgical specialist capable of providing your pet with a wide range of soft tissue surgical services should the need arise. Since companion animals, especially those in their later years, can suffer from a range of joint and ligament injuries and maladies, such as arthritis, we offer a range of orthopedic surgical procedures. These include fracture repairs with pinning and wiring. For orthopedic surgeries that require more advanced procedures and techniques, we refer our clients to Affiliated Veterinary Specialists. 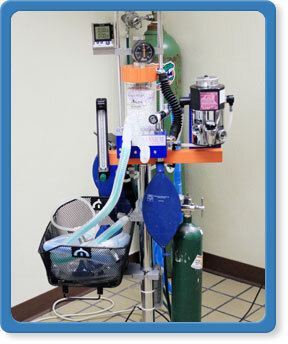 Anesthesia and cardiovascular monitoring are important, integral aspects of every surgery we perform. For this reason, your pet has access to the best and most advanced anesthetic administration and cardiovascular monitoring equipment and protocols. Prior to anesthesia all pets are examined by Dr. Mosley and a pre-surgical blood screen is performed. The results of these tests and your pet’s past anesthetic history, breed, preexisting conditions, and age are used to create an individualized anesthesia protocol for your pet. In general, we use a multi-modal approach to anesthesia, which includes pre-medications, a range of induction agents depending on the procedure and your pet’s unique characteristics, and isoflurane gas. During anesthesia and surgery, your pet is constantly monitored by a trained veterinary technician, using our advanced monitoring system. This system continuously monitors your pet's arterial oxygen level, blood pressure, ECG, heart rate, respiratory rate, and core body temperature. 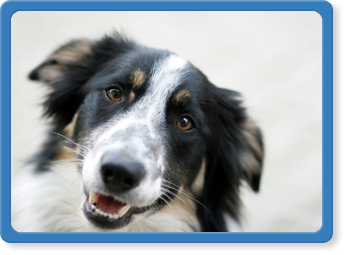 Mandarin Animal Hospital also believes that identifying and relieving pain is essential to the recovery of your pet. As your pet is being discharged from our hospital, we will provide you with detailed information on how to properly care for your pet at home after surgery. We are also happy to answer any questions or concerns that may arise once you get your pet home. Please call us at (904) 731-5341.